The mold removal experts at Abatement Solutions, Inc., understand the concerns associated with having hazardous mold growth in your Buckhead, Georgia, home or business. 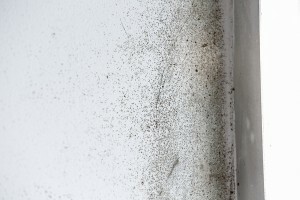 While mold exists virtually everywhere, especially high concentrations of mold inside of a building can potentially jeopardize the health of the building’s inhabitants, irritating their allergies and causing a range of other health effects. If you see signs of mold, smell a musty scent, or have had some sort of water leak in your residential or commercial property, our certified inspectors will complete a comprehensive visual assessment of your building and have air samples tested by a third-party lab to detect the presence of hazardous mold growth. Then, by utilizing the most effective mold removal techniques and equipment, our mold remediation team will rid your home or business in Buckhead, GA, of the mold contamination and prevent it from returning. Exceptional industry expertise – Members of our mold removal team have received extensive training on contents and structural remediation, and worked day in and day out eliminating mold growth for a diverse range of clients. Guaranteed certification letter – We promise that, after we’ve removed mold from a living area in your home or business, you’ll receive confirmation from a third-party inspector stating we’ve made the indoor air quality of your property safe again for the people inside. Full-service mold removal – Our staff will handle all aspects of your mold remediation, executing a focused regimen of water extraction, mold containment, remediation, and prevention, as well as re-building any damaged surfaces to make your building look like it had before the mold contamination occurred. To discuss your mold removal needs with one of our knowledgeable mold remediation contractors, contact Abatement Solutions today. You’ll receive the expert guidance and support you need to resolve this hazardous mold contamination in your Buckhead, GA, area property.